Al Maryah Island, 24 February 2018 – مرحباً (Marhaban!) 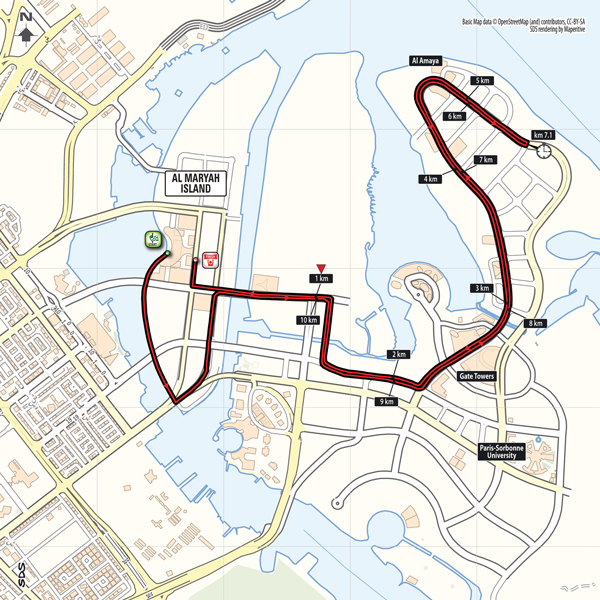 from Stage 4, Al Maryah Stage, of the fourth edition of the Abu Dhabi Tour (21 - 25 February 2018), the only WorldTour race in the Middle East and organised by the Abu Dhabi Sports Council in partnership with RCS Sports and Events. 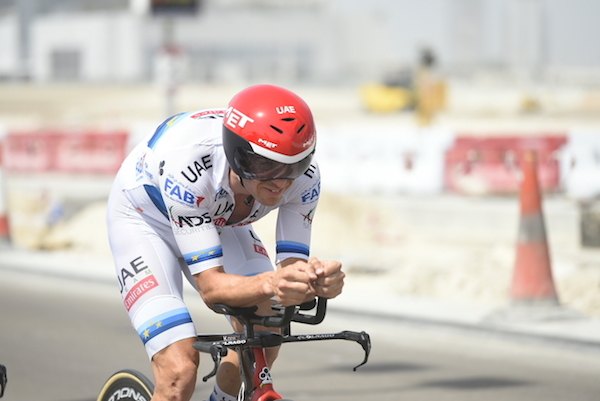 For the first time in the history of the Abu Dhabi Tour an Individual Time Trial (12.6km), run entirely on Al Maryah Island, will play an important part for the final victory of the race. During the stage 20 Green Jersey Points (of a race total of 56 remaining) are up for grabs, while no Black Jersey Points, nor seconds in time bonuses, will be awarded, being the stage an ITT. The first rider to start was Charles Planet (Team Novo Nordisk) at 13:15. The last rider to start will be the Red Jersey, Elia Viviani (Quick-Step Floors), at 15:30. Starting order can be downloaded here. Riders start in reverse order compared to the General Classification, from the last to the race leader.